Dictation Transcription » Audio Transcription Services - High quality audio transcription services. Top-notch dictation transcription doesn’t have to cost you a fortune. At AudioTranscription.Org, we prove that it’s possible to provide transcription services that are both high quality and affordable. If you’re used to spending tons of money to get the high quality dictation transcription services you need, you’re in for a big surprise. AudioTranscription.Org, a top-notch audio transcription company located in San Francisco, California, offers the highest quality transcription services at the lowest price offered by any top transcription company in the industry! Not only will you pay less for the high quality transcription you need, your satisfaction is guaranteed. If you’re not totally satisfied with our work, our dictation transcription experts will redo your transcript for free. Why do we make such a bold guarantee? First, every proofread transcript we produce is transcribed by one of the industry’s top transcriptionists. We require all of our transcriptionists to pass rigorous tests before joining our team so we know that they know their stuff when it comes to producing accurate transcripts quickly. Second, we send each of our proofread projects to a member of our professional proofreading team before our clients even see the transcripts. That way, our professional proofreading experts can make sure all our dictation transcription projects are free of grammar, spelling, and formatting errors, further ensuring our clients will be satisfied with our product. Finally, with our customizable services model, you’ll know exactly what services we are providing you. We provide the services you ask for, and never charge you more for services you don’t need. That means you’ll never have to guess how much your dictation transcription project will cost you because you’ll know up-front how much your entire project will cost. At AudioTranscription.Org, we’re all about saving you time and money. 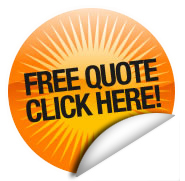 We do that by giving you the high quality transcription service you need – quickly and at a price you can afford. We’ll even let you try our transcription service at absolutely no cost to you. If you have at least five hours of dictation transcription you need to have completed, we’ll be happy to give you a free transcript sample so you can see for yourself that high quality transcription doesn’t have to cost a fortune. Now that you know you can get accurate and fast transcription at an extremely low price, go ahead and get started today by uploading your files. If you still have questions, fill out our brief contact form, and we’ll have one of our friendly account managers contact you with answers to your questions.